StablWall curing to become 10X stronger than steel. When it’s dry, paint right over it! 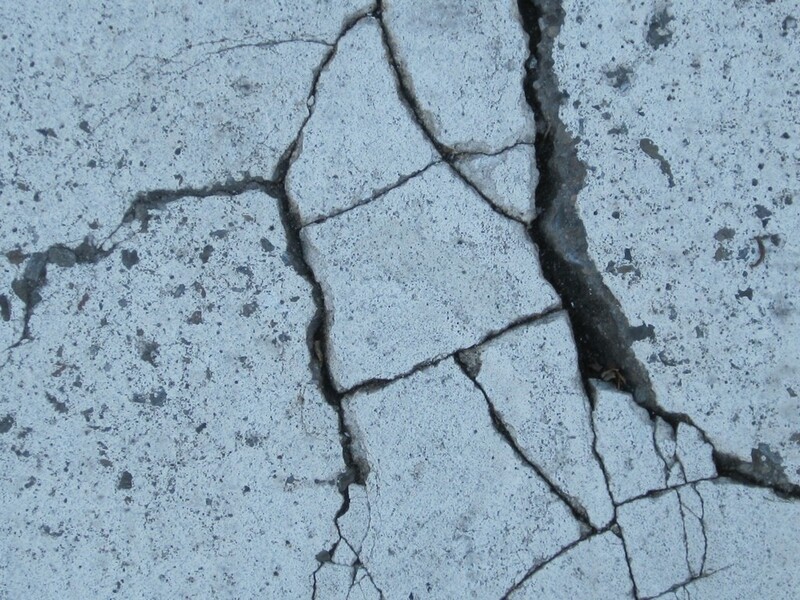 Foundation wall repair doesn’t have to break the bank, but a crumbling foundation certainly will. In our older Southeastern Michigan homes, it’s very common we’ll see foundations built with bowing, cracking cinder block walls. Of course nowadays, many foundations are built using poured concrete; however those can easily bow and crack over time as well. It’s natural that cinder block walls present more trouble than the average properly poured foundation. There are more breaking points, and the stone is generally more porous than poured cement, potentially exposing your home to more moisture. Over time, cinder block walls can begin to crack along the mortar joints as the foundation wall is exposed to more and more external pressure, and it will commonly bow inward along the center horizontal line. When this happens, it’s important to take action. Bowing inward along the center means your foundation is weakening and could collapse inward into your basement. Don’t believe us? Just watch this video. It’s important to catch structural foundation issues early on to avoid headaches like that in the future. A total wall rebuild like this would cost much more than a reinforcement repair like StablWall. The StablWall foundation wall repair system consists of carbon fiber sheeting, bonded and fused with your foundation wall, and curing to produce a tensile strength 10X stronger than steel! StablWall is also significantly less obtrusive than things like steel beams and wall anchors, as it doesn’t require excavation, nor does it take up usable living space. And the best part? You can paint right over it like nothing ever happened! 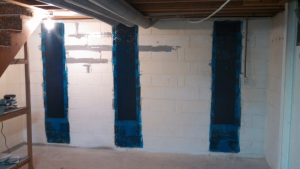 Call us at (586) 698-3030 if you’d like to learn more about our StablWall Foundation Wall Repair System, or would like to schedule a free inspection!